Church - Services for St Andrew's Church Harberton and the other churches in the Three Rivers Mission Community are listed in the printed Parish Magazine and can now be downloaded as a PDF file from the Diptford village website at www.diptford.org.uk/facilities/church.htm. Enter the main site for much more about Harberton, including a fascinating collection of old pictures. Defibrillator - Harberton's defibrillator (live and fully operational since November 2017) is located in the old phone box beside the bus shelter. Full instructions are enclosed in the defibrillator cabinet in case it is needed. 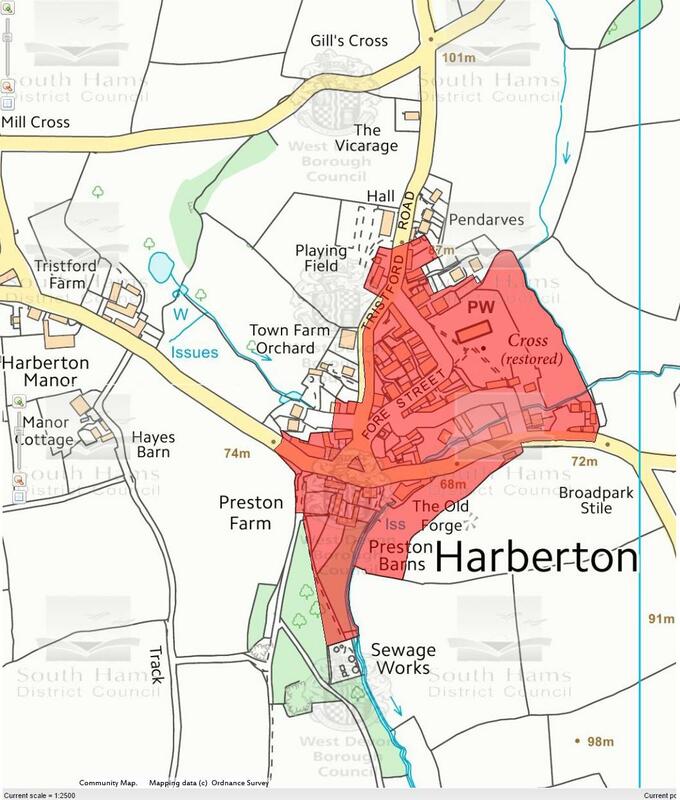 If you have any queries please contact the parish clerk via www.harbertonparishcouncil.org, phone 08455 578469 or email clerk@harbertonparishcouncil.org. The few allotments that exist in Harberton are owned by a local estate and managed by Michelmore Hughes in Totnes, tel. 01803 865116 (at the last check, the person dealing with this there was a Louise Wellington.) There is probably a waiting list. According to information supplied, the conservation area was registered in 1976 (26th October) and was subsequently extended on 03/10/1985 and further extended on 03/09/1992.